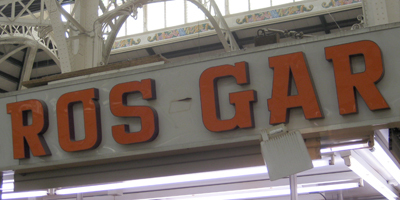 Another sign from the market’s interior. Kinda looks like a strange semi-serif version of Sibylle Hagmann’s Cholla. At first glance, I thought the O was an upside-down Q; of course, rotating the letter wouldn’t quite give that result. Interesting nonetheless.